Exclusive savings just for you! Sign up now and reserve your 2018 Farnam® Ultimate Horse Care Guide. You’ll save on Farnam® products — trusted favorites, plus innovative new products, too. 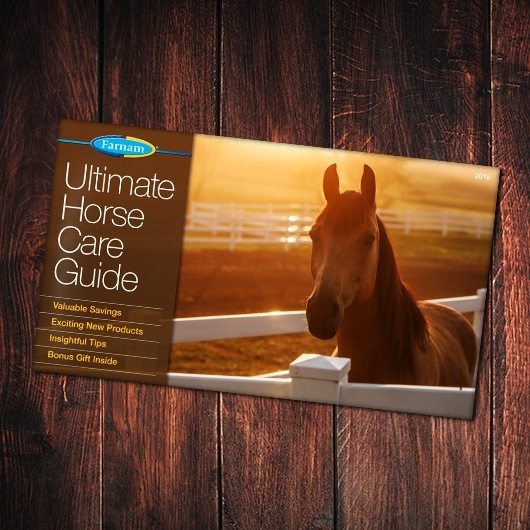 This year’s Guide offers access to more helpful horse care knowledge and tips than ever before and great savings you can use throughout the year. Quantities are limited, so don’t miss out on this exclusive opportunity. Only available when you sign up online…so don’t delay! This entry was posted on Wednesday, January 31st, 2018 at 3:00 pm	and is filed under News, On The Right Lead Newsletter. You can follow any responses to this entry through the RSS 2.0 feed. Both comments and pings are currently closed.